“Somebody Blew Up America” by Amiri Baraka (with Rob Brown on saxophone), recorded live on February 21, 2009 at The Sanctuary for Independent Media in Troy, NY. The poem appears in Baraka’s book Somebody Blew Up America & Other Poems. This production is part of “Free Jazz at the Sanctuary,” a 13-part series of performance videos featuring some of the world’s most talented improvisers. Each hour-long show is available on DVD directly from Downtown Music Gallery (www.downtownmusicgallery.com). For more information on this series, visit www.JazzSanctuary.org. 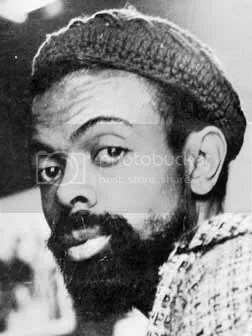 Visit the poet’s website at www.amiribaraka.com.